Oxford Charger Jack Tannehill, who kicked the game-winning 27-yard field goal Friday during the Crosstown Classic game against the Lafayette Commodores at Bobby Holcomb Field has been nominated as a finalist in Kohl’s Kicking National Player of the Week. Now, the Oxford community has a chance to show its appreciation for Jack by visiting the website and voting for him to win the contest. A 15-year-old sophomore, Tannehill said Friday’s kick was the most stressful kick he’s had to make since joining the Chargers last school year. 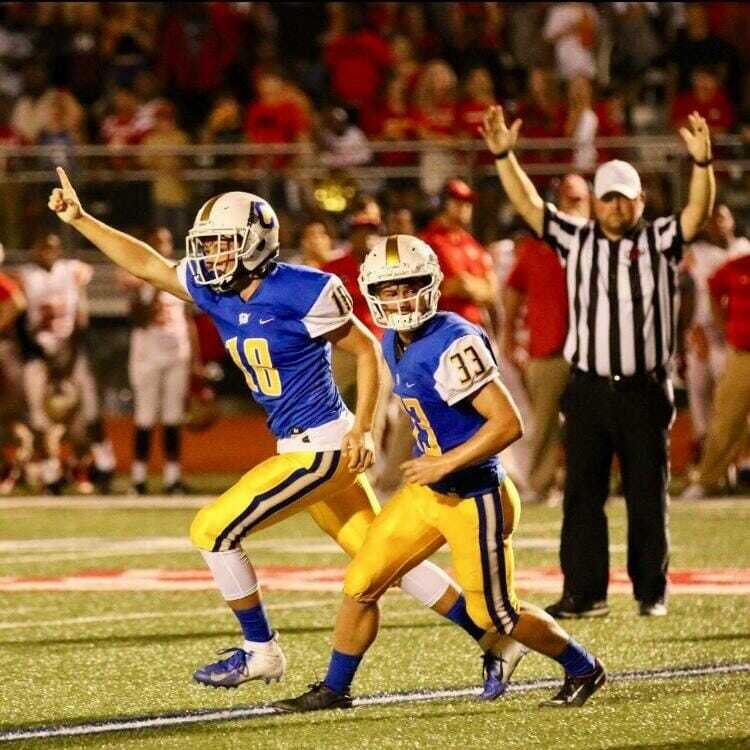 Oxford Charger kicker Jack Tannehill kicked a 27-yard field goal Friday night to push the Chargers to the win, 29 to 27, over the Lafayette County Commodores. 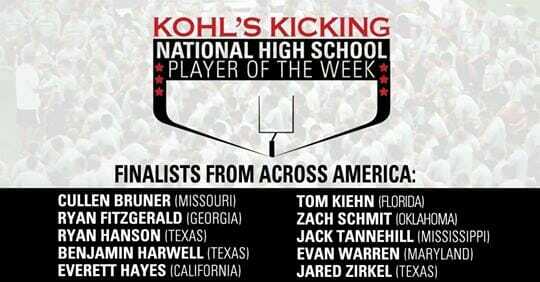 Tannehill is a finalist in the Kohl’s National Player of the Week contest. The Chargers won with 3 seconds left on the clock. The final score was 29 to 27. Earlier in the game, Tannehill kicked a 39-yard field goal. The son of Rhea and Robyn Tannehill, Jack started playing football in the eighth grade; however, he is no stranger to kicking balls. He started playing soccer when he was about 3 years old, he said. Tannehill found out he had made the finalist for the player of the week through an email sent to his father, Rhae Tannehill Monday. As of 5 p.m. Wednesday, Tannehill was in second place in the contest with 27 percent of the votes. To vote for Tannehill, visit the Kohl’s National Player of the Week website. You must have a Facebook account to be able to vote. Polls close at 10 p.m. Thursday and the winner will be announced on Kohl’s Twitter page, @KohlsKicking.